This is an elegant addition to your commercial open-air space. Relax in the shade with the Galtech 9' Wood Commercial Grade patio umbrella. The single pole construction and durable finish guarantees that this umbrella will be low-maintenance in a commercial or personal setting. 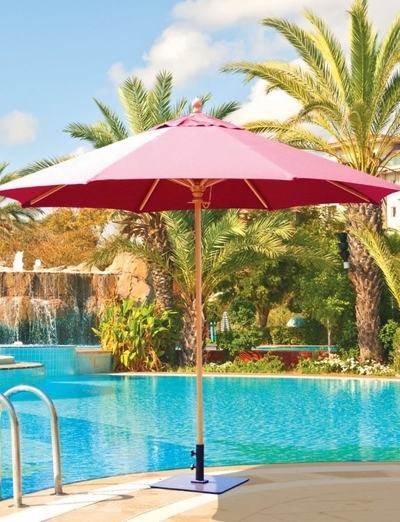 With its wide variety of premium fade-resistant Sunbrella and Suncrylic fabrics, this outdoor umbrella is sure to retain its bold and beautiful colors from season to season. Impress your guests with this final touch of panache' to your commercial patio space.